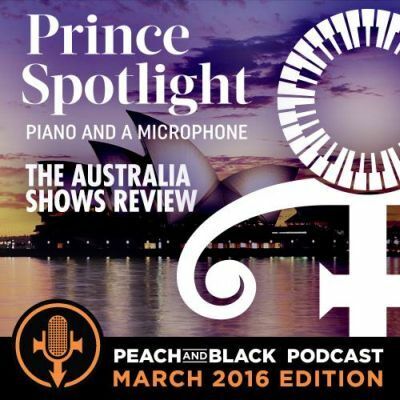 Back in 2009, Peach & Black issued a challenge to Prince to play the Sydney Opera House. 2016 that very thing happened.... Check out our review of an icon playing an iconic venue, as well as an overview of the Australian / New Zealand Piano & a Microphone Tour. This entry was posted on Sunday, March 6th, 2016 at 4:29 am	and is filed under Music, prince, podcast, NPG, New power generation, prince and the npg, 3rd eye girl, prince rogers nelson, peach and black podcast, prince podcast, album review. You can follow any responses to this entry through the RSS 2.0 feed. Both comments and pings are currently closed.